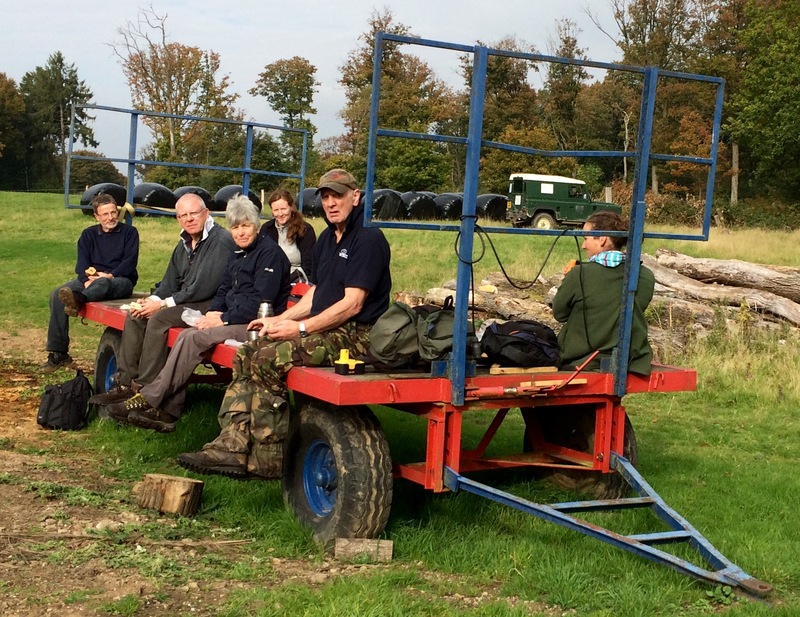 The creation of a new orchard is one of the many exciting things happening here at St George’s farm. Over the last few days we’ve been sourcing the numerous varieties of apple, pear, plum and cherry that together make the 150 trees we intend to plant with volunteers this winter. The initial selection and planting plan has been put together by our neighbours Linda and John Iles, and the whole project is receiving financial support under the Higher Level Stewardship Scheme, part of the EU Common Agricultural Policy. It follows a number of successful orchard restoration and replanting initiatives in the locality, once part of the largest cherry producing area in the country after Kent. The land where the fruit trees are to be planted, at the heart of Ruskin Land, was in fact an orchard until the 1950s. Back then, grants were available from the Ministry of Agriculture to grub up old orchards with the aim of increasing productivity, a policy that continued after the UK joined the EU. In the late 1980s the arts and environment organisation Common Ground started a campaign to draw attention to the dramatic loss of traditional orchards, and the associated wildlife and cultural associations, that had taken place over previous decades. Culminating in the first national Apple Day, which took place in Covent Garden on this very day twenty five years ago, the campaign has been a great success. 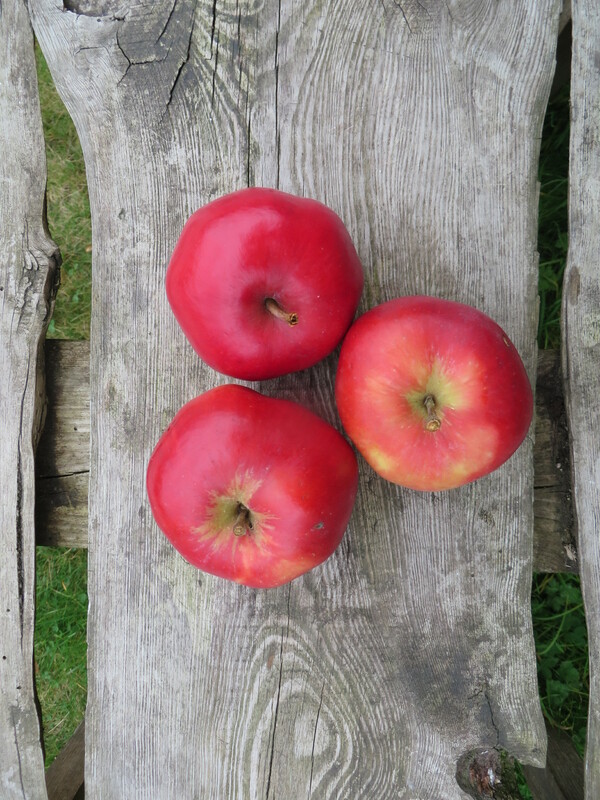 It has stimulated a revival of interest in local varieties of apple and other fruit, the growth of community orchards across the country (including at Ambridge! ), and a reversal of the national and EU grant regime. Having worked at Common Ground on that campaign, its great that we are now able to benefit from those achievements. The original orchard here was actually established in 1880. Prior to that, the land had been cleared of oak trees adjacent to, or possibly part of, an area of the forest known as Shelf Held Coppice. William Buchan Graham, a follower of John Ruskin and one of the unsung heros of the early years of Ruskinland, planted 178 fruit trees there, over about 5 acres of land, half of which were plums, along with 46 apples, 19 pears and the rest cherries and damsons. 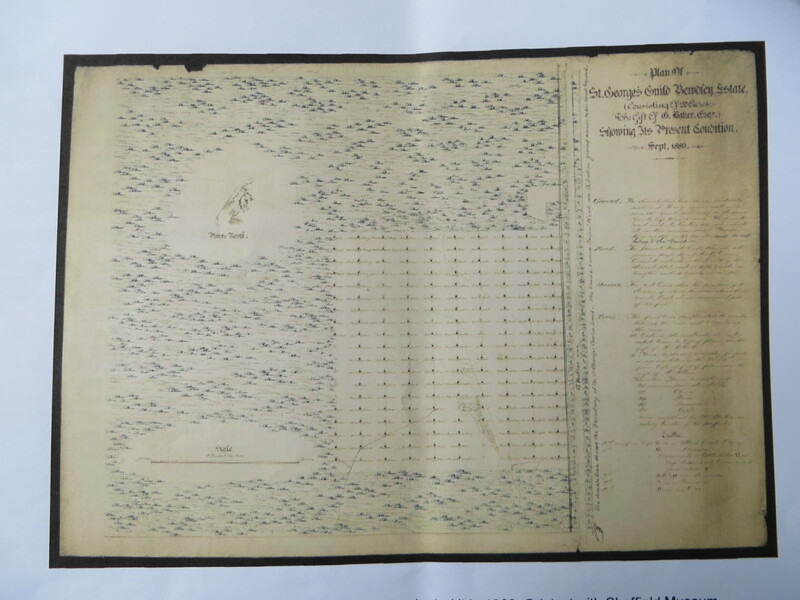 Amazingly, the original plan of the orchard, drawn by Graham himself, with the full list of varieties he planted is held at the Museum in Sheffield which is home to the Ruskin collection. (In fact, William Graham was buried, along with his wife Eliza, in St Leonard’s churchyard at Ribbesford just a few miles from St George’s Farm. Their story, a not altogether happy one, will be told in a future blogpost). The original orchard plan and list of fruit has been invaluable in selecting suitable varieties for the new planting. While choosing a number of those planted here originally, it’s been decided to scale back on the number of plums and to replace those with cider apples. Finding nurseries who can supply the varieties selected on the necessary vigorous rootstock has not been straightforward, but we’re getting there! 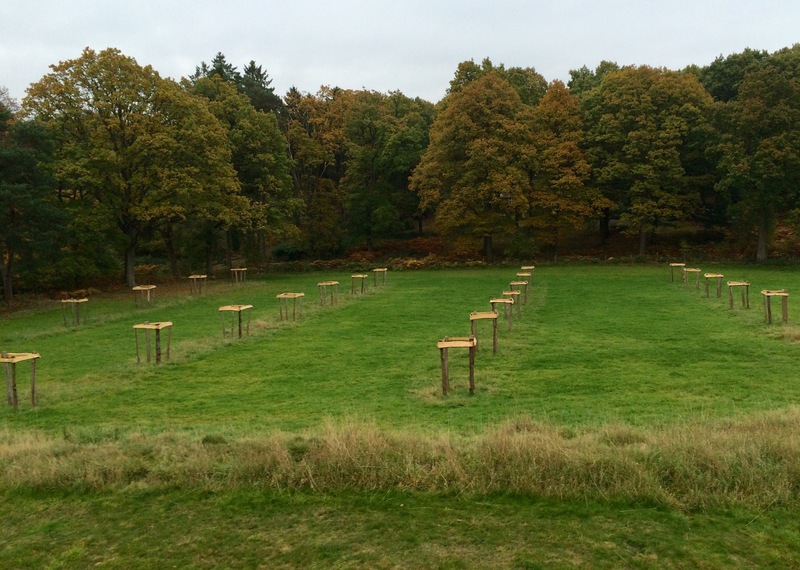 Another challenge is to finish erecting the large treeguards, needed to protect the young trees from the attention of the local deer population, in time for the first planting in November. 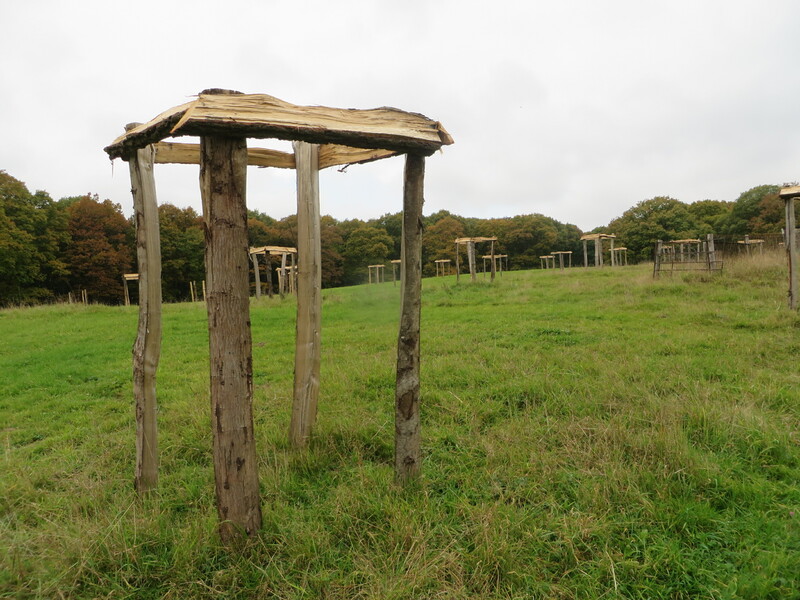 The volunteers and staff at the Wyre Community Land Trust have been making steady progress on this and more than half of the guards, made with cleft chestunut and oak, are now in place. It’s an inspiring project which will benefit future generations, as well as our own. By the time the final trees are planted before the arrival of next spring, it will have been an impressive team effort, consuming many months work. It makes me realise what a heroic effort it must have been on the part of William and Eliza all those years ago. Perhaps the new orchard should be named after them? Posted on October 21, 2015 October 28, 2015 by neilsinden	Bookmark the permalink. Hi Neil. I’ve found the blog! Interesting piece about the original orchard with the hand drawn tree map. I’d like to see that one day; I suppose that would mean a trip to Sheffield?